Our online gardening shop has now been open for the last two weeks. 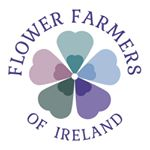 We had done a pilot test and with good feedback we have decided to open up the range of gardening tools, plants, sundries, gifts and seeds to the whole of Ireland. It seems a little unfair not to offer our wares beyond Munster. We have carefully selected our range to reflect our own environmental stance. So the seeds are all organic and our gardening sundries are not harmful to the environment The wildlife range is from a supplier, who has been making products with an environmental bias for over 10 years. Products are made from either reclaimed or FSC certified timber and are finished with water based paints and stains which are good for the people who make them, and good for animal, bird and insect tenants that move in! I shall shortly be adding a small and select range of some of our more unusual plants. So sit back get online and enjoy our garden shop from the warmth of your home or alternatively come and join us at the garden centre for an equally warm greeting.